2014|oil on canvas panel|seascape|6" x 8"|$460. 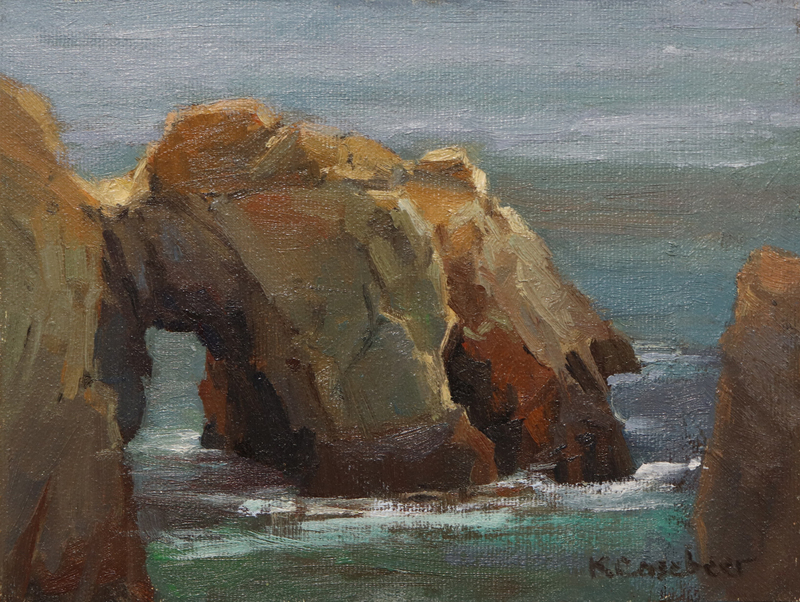 A coastal scene at Point Lobos featuring rock formations in the water. Unframed panel.